Imphal, Nov 3 : BJP has sought the resignation of Manipur Chief Minister Okram Ibobi Singh accusing his government of failing to maintain law and order in the state, which has witnessed a series of bomb blasts recently. The series of bomb blasts in the past one week and loss of lives of innocent people indicated deterioration of law and order and intelligence failure in the state, party national secretary Tapir Gao told reporters last evening. The Chief Minister should take responsibility for the poor law and order situation and resign as his government has "utterly failed" to maintain peace and protect lives of innocent civilians, he said. 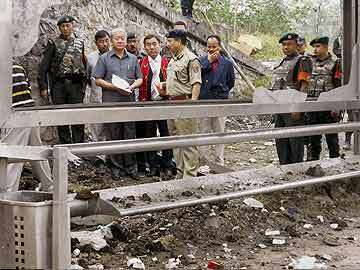 Powerful bombs exploded on Tuesday, Wednesday and Saturday in the heart of Imphal city in which three persons were killed and eight others injured.